June 13, 2018, Ivyland PA - DDM Novastar is pleased to announce the return of Brian Osterhout as DDM Novastar’s director of engineering. Brian has over 30 years of machine design experience, with a broad background in product development and manufacturing. From 2005 to 2010, he worked as Senior Designer & Project Engineer for APS Novastar (DDM Novastar’s previous entity) and helped design the firm’s L Series Pick & Place machine, along with enhancements to the reflow oven and Stencil Printer product lines. From 2010 to the present, Brian continued to expand his knowledge base, working for a Philadelphia manufacturer specializing in fluid-film bearings. This added to his diverse background in fabrication and machining. 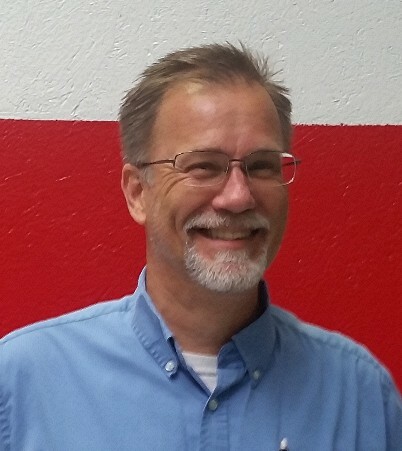 Brian will help lead our engineering team in new product design and development, along with providing engineering support for our existing product line of pick and place machines, stencil printers, reflow ovens and related equipment. Two priorities on his radar are an AOI (PCB Optical Inspection system) and the development of a new Selective Solder System. In additional to his CAD skills, Brian enjoys all things mechanical, and is in the process of returning a 1964 Porsche to the road. He lives in Marlton, NJ with his wife, Susie and their two children. Brian’s return brings an exciting opportunity to DDM Novastar and strengthens our position in the SMT market. With over 26,000 SMT and PCB assembly systems sold, DDM Novastar is a leading USA manufacturer of OEM equipment for the short to medium run production environment. Since our introduction of the first Through Hole Lead-forming and Component Counter products in 1982, DDM Novastar has remained an industry leading innovator. By offering our customers the most reliable, easy-to-operate, easy-to-service, and lowest total cost of ownership “turn-key” SMT OEM systems available today, our commitment is to be your primary source for the most comprehensive range of solutions for prototyping, pilot manufacturing, and low to medium run high mix applications. DDM Novastar’s unparalleled array of stencil printers, automated pick and place, reflow and batch ovens, selective and wave solder equipment is backed by superior technical support and can accommodate the most demanding applications with absolute precision. For more information, visit www.ddmnovastar.com or call +1-215-485-5663.